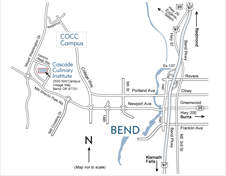 Featured in the Bend Bulletin – Laura Hagen, a baking and pastry chef instructor at the Cascade Culinary Institute at Central Oregon Community College for the past three years, demonstrates how to make rolls fit for a holiday meal. The 13th Annual Empty Bowls event at COCC was a great success! And the soup was fantastic. Thanks to all the students who participated in the Empty Bowls fundraiser for NeighborImpact. From the dicing of the vegetables, the making of the stock, to serving the soup. Your support is greatly appreciated.